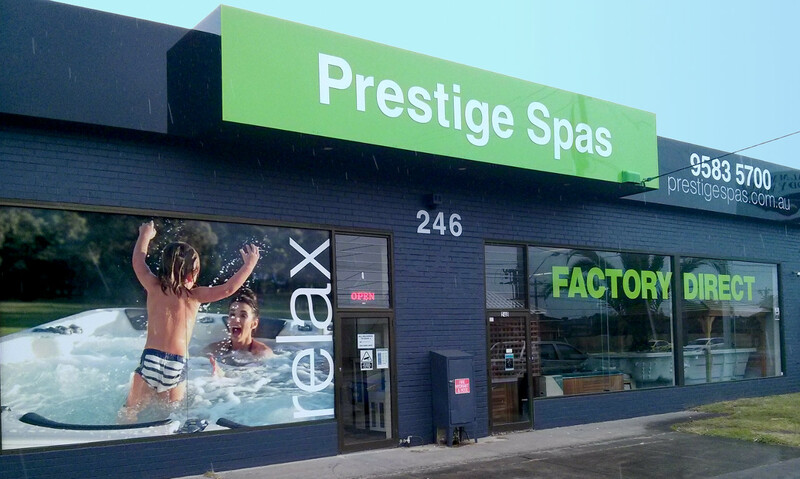 Prestige Spas is a 100% family owned and operated Australian Spa Manufacturing company. We also retail a huge range of pumps, heaters, blowers, chemicals, and fittings for pools and spas. We stock a range of bathroom products including mirrors, tapware, shower screens, baths and vanities. We service all suburbs of Melbourne, specialising in St. Kilda, Brighton, Moorabbin, Frankston, and the Mornington Peninsula - but we are happy to install, service and repair Victoria wide. We have customers in Perth, Adelaide and New South Wales who won't use anyone else! We started as a small Fibreglass manufacturer in 1986 in Highett and grew from there into all areas of custom manufacturing work including truck parts, life raft containers, airport markers and more. in 1992 Prestige Spas was created as it's own company to market spa baths, shower cubicles and bathroom products. We moved into our current address in Cheltenham (our largest factory to date) in 1998 and have called it home ever since. We are still a family owned and run business and we put our customers first. We are able to freight most spas and pools almost anywhere. We do have certain access requirements to get them into position for you, so please give us a call and we can work out what sort of delivery will suit you best. We normally freight things ourselves, but we are happy to work with you to arrange third party logitics, or warehouse pickup from our factory in Cheltenham. We don't dispatch products until your payment is cleared. All of our spas and pool are custom made just for you so we take a 20% deposit to confirm your order before we start to manufacture the product. Once you place your deposit we lock in the price against any future cost increases so what you agree to pay is the final price. You can even arrange a lay-by if you like, locking in the price today for a spa for Christmas or your birthday!